Why You Should Revisit HALLOWEEN Before Seeing, Er, HALLOWEEN | Birth.Movies.Death. David Gordon Green's film is good, but it's even better when it's the chaser to a revisit of Carpenter's classic. Halloween is out soon! Get your tickets here! And hey! Why not pick up a copy of our great Halloween issue of Birth.Movies.Death. magazine? 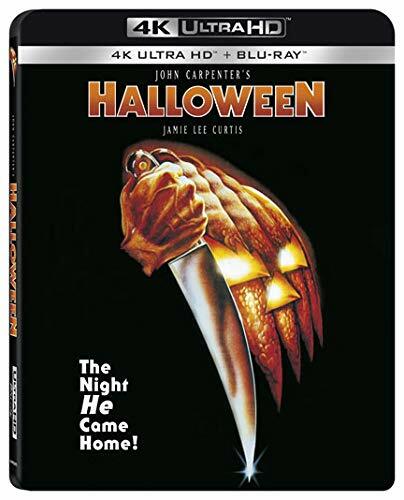 At this point, I've probably seen John Carpenter's Halloween at least sixty times (including commentary viewings), with at least ten of those on the big screen for maximum impact. There is literally no need for me to ever watch the film again, as I know every line, every note, every sound as well as I know my own name. And yet, even though I just watched the movie again two weeks ago, I still made arrangements and reworked my weekend schedule to make sure I was at Beyond Fest for their triple feature of Black Christmas, Halloween '78, and the new Halloween from David Gordon Green. And it wasn't just to see the new one - I've already seen it twice, so that wasn't as enticing as it was for most of the 600 people in attendance. No, I wanted to see how the two films played back to back; to see if the new film looked better or worse coming right after the classic original that it was designed to live up to. I've said before that I'm not a big fan of marathon viewing, and I've been privy to how a related film (sequel, prequel, remake, whatever) can falter when seen immediately after a superior one. Indeed, I am and remain a defender of the (imperfect but very fun) Black Christmas remake, but one time the New Beverly showed it right after the original and it made its issues stick out all the more, with some people actually changing their mind about the film! A friend of mine who was always a fellow champion of the 2006 version decided that night that it wasn't actually good at all, and as far as I know that's still the position they hold (similarly, those who were there to give it another chance certainly didn't suddenly see the light, and now probably never will). 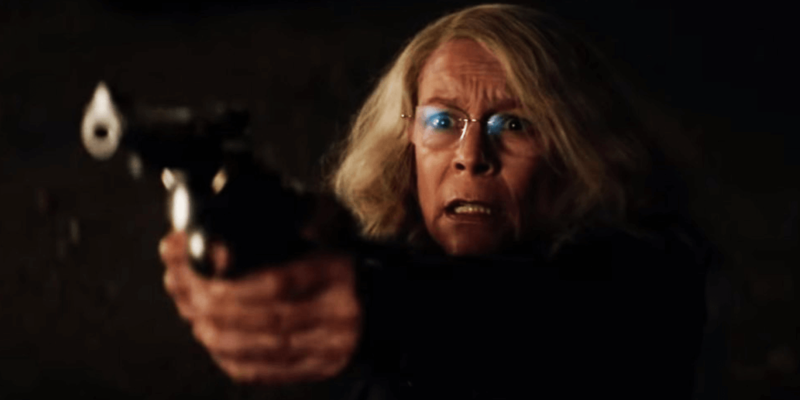 Again, I had seen the new Halloween already (and have a full review coming), and while I enjoyed it, it's not a slam dunk - there were a few things that didn't sit well with me, and I think the editing is too breathless at times. Would those problems be magnified if watched right after the perfect (in my eyes) original? Or would the goodwill from Carpenter and Debra Hill's creation carry into the next film? Happily, it was the latter, and that's why I'm here to encourage folks to start making arrangements to watch the original as close as they possibly can before seeing the new one. I'm not talking like, the weekend before (which would be this weekend), I mean like, you watch one of your seven DVD copies and then drive to the nearest theater showing Green's film. When I made a similar sentiment on Twitter someone asked if it was necessary if they had the movie memorized, and yes, I think it is. First off, as if I don't have it committed to memory? I certainly didn't need a refresher on the film's narrative. But second/more importantly - memorization is not an experience, and thus no, it's not the same thing. There's something about seeing Laurie Strode's flesh and blood presence age forty years that really elevates how her trauma has affected her, something that can be clouded by forty years' worth of memories of Jamie Lee Curtis' presence (including that in the other Halloween movies) unless you more or less watch them as one movie experience. You won't have time to think about Blue Steel or Freaky Friday or whatever the hell - you'll just see this young woman go through something terrible and, for all intents and purposes, get stuck for forty years, aging but not really living due to what happened that Halloween night. It also helps forget about the other sequels, a hurdle the film isn't always able to clear on its own. There are a number of similarities to H20 on a basic level (right down to Myers tracking Laurie as well as her descendant at the same age she was when she first encountered him), and of course the movie has to find a way to skip over that unfortunate "they're related" business that has been such an important factor in every other sequel. 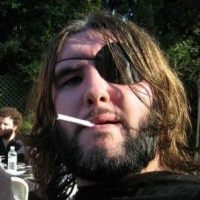 I read on Twitter about some folks marathoning the whole series before the new one, and I can't tell if they're misinformed or not, but either way they're making a big mistake - not only do those films no longer count as far as this new one is concerned, but it's just going to make it harder for a viewer to write them off if they're so fresh in their minds. Sure, it might allow you to appreciate the new one all the more, as it lacks things like Druid cults and Busta Rhymes, but it's not necessary - it's good on its own, not just when compared to the last six films. By jumping right from the original to the new one, all that other stuff is so much easier to dismiss; the first time I saw the new one I couldn't quite forget "Keri Tate" and Michael's much higher body count, but this time they didn't cross my mind much at all. Cinelife is re-releasing the original for a series of one-off screenings throughout the month, so hopefully some theaters are smart enough (or allowed?) to take a cue from Beyond Fest and pair them as a double feature or at least time them so people can watch both in one evening, because obviously the big screen with a good crowd is always a plus for a movie like this (one highlight - the crowd erupting as the screen widened for scope after the "flat" Black Christmas. True film fans!). It will also magnify little details that carry over into the new film (keep an eye on the set dressing in young Laurie's bedroom, as some of those things pop up forty years later) and, for those who aren't 4K equipped, allow you to enjoy the new transfer - it looked great at the Egyptian, and the previous DCP has hopefully been banished into the dump bin. If you have to settle for home, so be it; regardless of where/how you watch, I can practically promise it will still make the new film look even better, and I thank Beyond Fest for programming them that way, as I almost certainly wouldn't have bothered rewatching the original again otherwise. Now I got to make up for a bad memory, and come away liking a new film more than I already did. Is that a win-win? Totally.